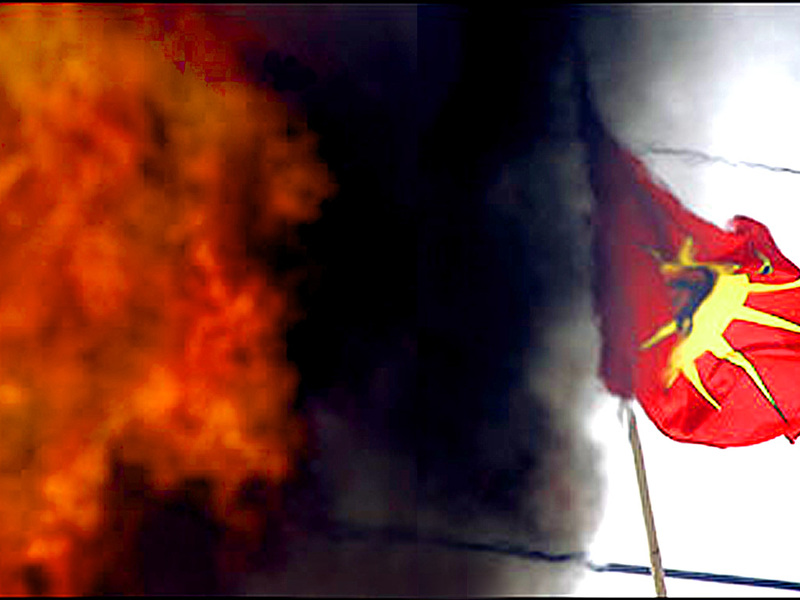 Some native militants have claimed the Mohawk Warrior flag is merely a benign ‘Unity Flag’ of peace with no sinister intent or symbolism behind its use, despite a long and highly visible association with extreme violence, intimidation and criminal activity in places like Oka, Akwasasne and Caledonia. 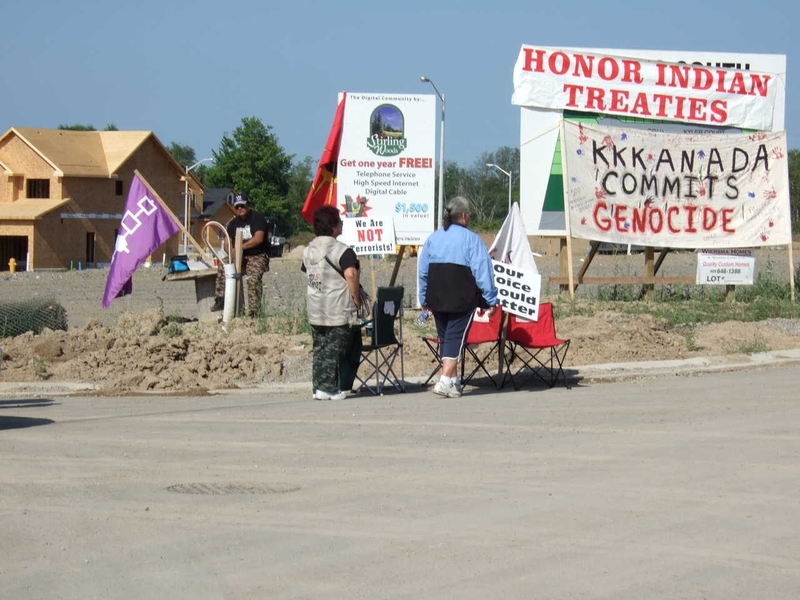 In May 1974, a group of Kanienkehaka seized a 612-acre former summer camp for girls at Moss Lake in upstate New York and claimed it as sovereign Kanienkehaka territory. They named this new terroritory Ganienkeh. […] After some shooting incidents where two-non-native citizens and a nine year old girl were injured, New York State…negotiated with the Kanienkehaka for their removal from the original site [of Ganienkeh]. The original [Unity] flag depicts a Warrior in profile that has long hair falling to the shoulders. […] Long hair is common amongst Indigenous peoples, what makes the cultures different is how they style it. This [similarity] is meant to promote a sense of common identity, therefore enabling all to use the flag…no matter what nation they are from. In times of peace the hair was allowed to grow. The Flag introduced at Ganienkeh has hair that is long. It has been suggested that perhaps this was another way for the Flag’s symbols to indicate and promote peace. [JT 07/23/02] The Kahnawake Warrior’s Flag has a more stylized version of the scalp lock, perhaps indicating the need for resistance, because it was designed in a time of tension and conflict as discussed above. You know they hid behind their wives and kids. K. What do you think it did to them to see it? The white fishermen. They didn’t expect it. They didn’t expect the support we were going to get. It scares them. K. Why do you think it scares them? Just before the warriors were loaded onto the military buses, the soldiers had ripped away their flags. […] Somehow one of them had managed to suggle a warrior flag onto the bus. In a final gesture of defiance, the flag was unfurled and the convoy headed for Farnham [military base] under the insignia of the Mohawk Warrior Society. The cigarette trade brought increased wealth to the community of Akwasasne in the 1980’s. Casinos and other businesses were built to increase the economic self-sufficiency of the community. A struggle ensured over the inclusion of gambling in the community which resulted in a great deal of factionalism. […] Many of the people [of Akwasasne] who saw merit in the casinos professed themselves to be part of the Warrior Society. The casino issue brought violence to the community…and so some people are perceived to have misrepresented what the Flag stands for. To me it meant something, but after Akwasasne it kind of tarnished it. […] I find it hard, when you watch TV today, if there is violence, if there is something wrong. What’s the first thing they show on TV? […] three main interpretations of the Flag have become prevalent among both the Kanienkehaka and Mi-kmaq populations that were the focus of this study. They are — awareness, unity and resistance. When situations emerge that require these three ideas to be evoked, the Flag is used in this regard as illustrated by its use during the Oka Crisis and by the Mi’kmaq, during the Lobster Dispute at Esgenoopetitj. According to the research contained in the Horn-Miller paper the original ‘Unity Flag’ with its long-haired ‘peaceful’ Mohawk imagery was born out of the lawlessness and gun violence against non-natives and the U.S. government during the occupation of a girl’s camp in New York state. The artist actually lived in one of the occupied buildings at the time he created it. 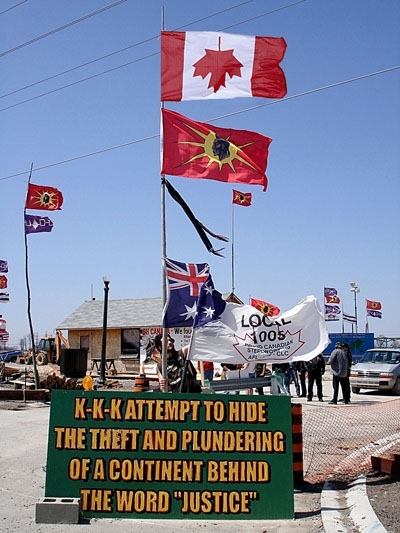 The main theme of the Kahente-Horn paper – from start to finish – is that the Warrior flag is an assertion of sovereignty – especially during illegal occupations. 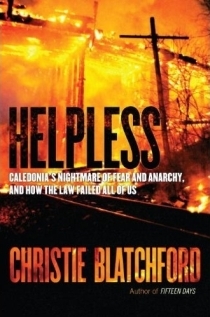 It is used to signify that the land in question is no longer part of Canada, that Canadian laws do not apply to the occupiers, and that the occupiers are prepared to escalate their resistance to the point of violence if necessary. As Horn-Miller notes from her interviews with native people the Mohawk Warrior flag is seen by them as a fear-invoking tool of psychological warfare against non-natives. 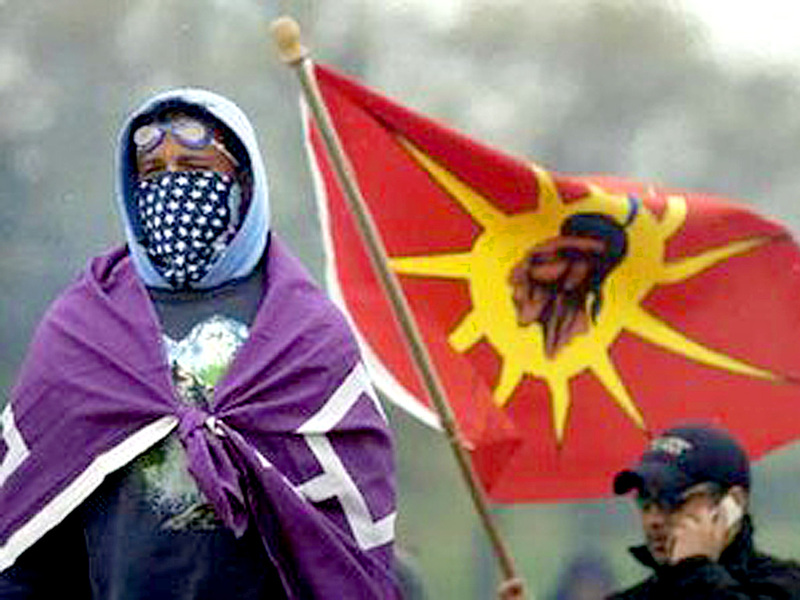 Indeed, the imagery of the Mohawk Warrior with his war-ready shaven head intentionally designed to taunt enemies (today, it is the Canadian government and non-natives generally) is indeed intended as a call to unity as some claim, but not to peace: the Warrior flag is a call to unite in war, of occupations, of violence, of intimidation, of vandalism, of inciting hatred and fear against those they deem to be repressing native culture. One must ask the question, then: Why fly the Mohawk Warriors flag if there are no Warriors there? 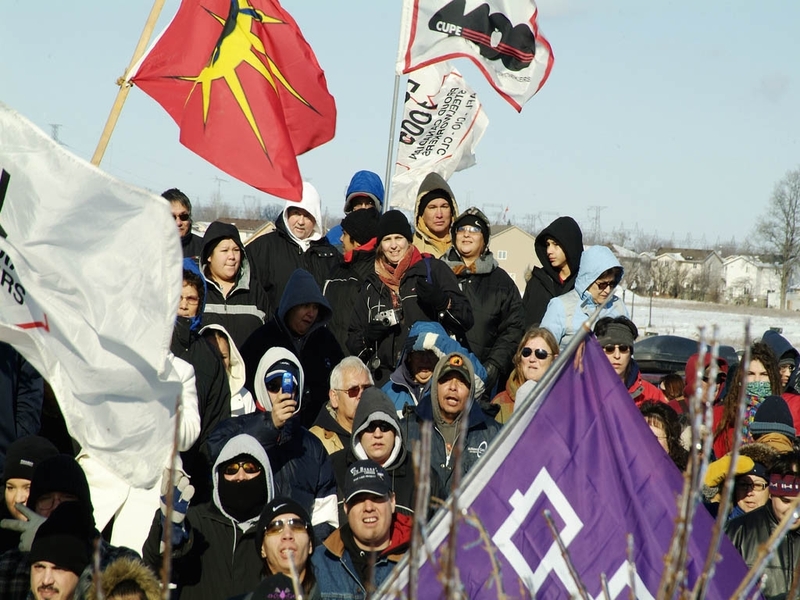 Indeed, why fly the flag of a violent criminal organization – whether it is in Caledonia or Toronto – if not to intimidate non-natives and government officials into complying with your demands? During our May 28/11 protest at High Park, prior to giving us a tour of the area where the Warrior and Six Nations flags had been flying, City of Toronto Director of Parks Richard Ubbens informed Gary McHale and me that he was unaware of the symbolism of the Warrior flag. 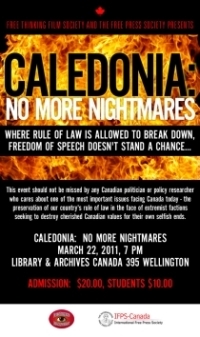 He also informed us that it had been taken down in the week prior to our protest (after it was announced). Ubbens also stated – categorically- that the City would never allow the site to become a no-go zone for non-natives, and that the City stood by its archeological report that had confirmed there was no native burial ground there. Based on the removal of the Warrior flag and Ubbens’ assertion that non-natives were not going to be excluded from any part of High Park, and that the City stood by its position there was no burial ground, it appeared that the City was – at least at that moment – in control of the site, and so we decided not to display or place our protest signs near the site as planned. Gary McHale and I sincerely thanked Mr. Ubbens for speaking with us and giving us a tour of the site and, after being given access to the site and seeing the Warrior flags gone we promised not to return unless there is another occupation (which would be signified by the re-appearance of the flags). Toronto Police Corporate Communications/Aboriginal Peacekeeping Unit, May 13/11 (uploaded May 14/11): High Park BMX to relocate… [VIDEO, 5:59] (video opens w/Warrior flag flying; also flies in background while Toronto Parks employee and police speak to camera. 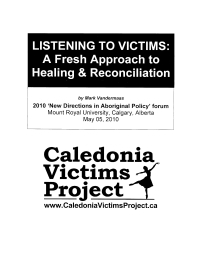 VoiceofCanada, June 21/10: VoiceofCanada, June 21/10: RedWire Magazine’s blueprint for terror & sabotage by native ‘revolutionaries’ paid for by federal funds? 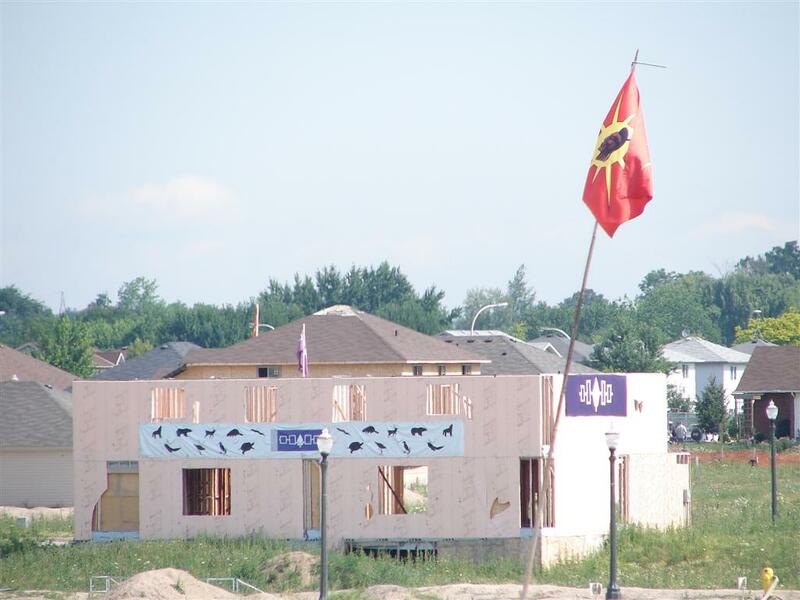 We discovered that the Warrior flag had been displayed on the High Park site long before the recent media reports — at least as early as Aug 28/10 (see photo above). 1. At 11:07pm, May 31/11:07 am ‘sgreen’ states that “the RCMP went to McHale’s home on Thursday to investigate him…” The RCMP visit never happened – it was a complete fabrication. A similar version of this false allegation was also posted in a new anti-Gary McHale page on the website of Red Power United (accessed June 01/11, 1:53pm). This, of course, is not the first time that native protesters and those who support them have fabricated such allegations. 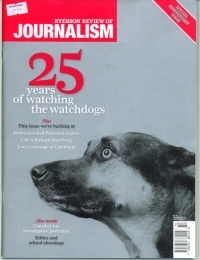 In 2010 a Six Nations newspaper settled a lawsuit with us after they falsely accused four non-native activists, including Gary McHale and me, of being white supremacists seeking to exterminate native people. Keeping the City of Toronto’s Parks Department in the dark? It is inconceivable that the Toronto Police Aboriginal Peacekeeping Unit which produced – and appeared in – the Red Power United/Taiaiako’n/Warrior propaganda video did not know what the Warrior flag meant. If so, why did they not inform Parks Director Richard Ubbens? He clearly told us that he had no knowledge of the flag’s symbolism. I cannot believe Ubbens would have allowed one of his employees to appear in the video had the police informed him of the sinister connotations of the Warrior flag and its violent legacy. If the Toronto Police Aboriginal Peacekeeping Unit didn’t know; or if they did know, but didn’t inform Ubbens, then that is even more troubling. The High Park occupation, no matter how it is framed in terms of rehabilitating an area damaged by BMX bicycle riders (a worthy goal) to protect a (non-existent) burial site, was nothing more, and nothing less than a declaration of sovereignty on a micro-scale by people who know full well what the Warrior flag means. 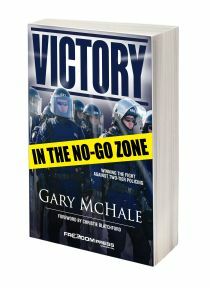 It should be a source of concern that the Toronto Police and Parks Department are cooperating with pro-violence organizations such as Red Power United and the Mohawk Warriors, or anyone else who supports their legacy. They should also be concerned about the fabricated claims of white supremacist connections made against Gary McHale by the Taiaiako’n Historical Preservation Society. If this organization will lie to smear non-native activists, one must ask what else are they are lying about? In any event, no one should be fooled by attempts to rewrite the ignoble history of the Mohawk Warrior flag and the threat to the rule of law it poses by those who fly it. 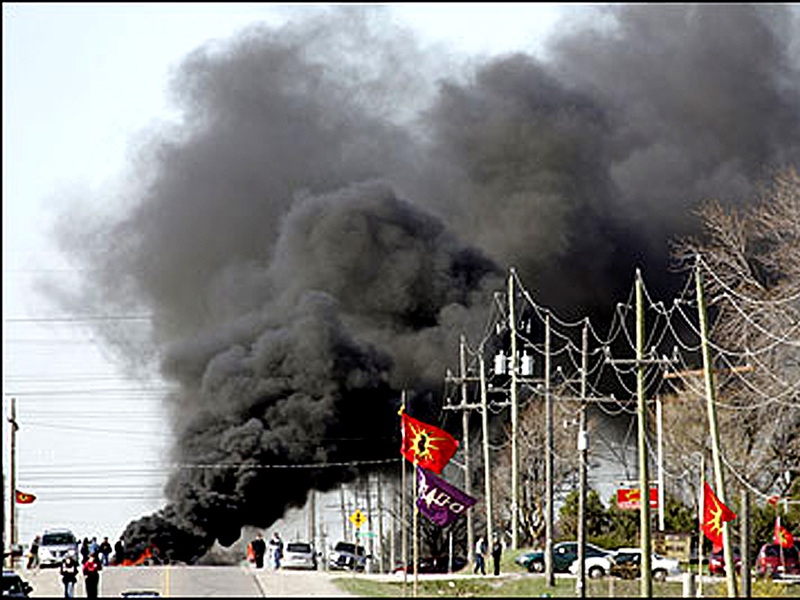 Toronto Sun, May 17/11: Warmington: Where’s the next First Nations’ target? This entry was posted in Caledonia Players, Mohawk Warriors, Native Racism & Supremacy and tagged Mohawk Unity Flag, Mohawk Warrior flag, Unity flag. Bookmark the permalink.